Former Indian left-arm seamer Ashish Nehra wants Rishabh Pant in India's squad for the 2019 World Cup. The 21-year old wicketkeeper has proved his worth in England and Australia, which means he has the ability to perform in the World Cup too. Nehra pointed out that India needs more left-handers for variation purposes. He went on to elevate Pant in the league of Virat Kohli and Rohit Sharma. "If you look at India's batting line up, except Shikhar (Dhawan), there aren't any left-handers in the top seven. You need variety with a left-right combination, where Rishabh perfectly fits." "Secondly, Rishabh can bat at any position between number 1 to 7 and so Virat (Kohli) and the team management can use him as a floater." The RCB bowling coach pointed out that Pant is one of the genuine match-winners in Indian cricket at the moment. Nehra feels that the left-hander is cut from the same cloth as Kohli, Bumrah and Rohit. This is as great an accolade as any young cricketer can get. "If it comes to effortlessly hitting sixes, Rishabh comes after Rohit. India will need this during the World Cup." "No disrespect, this team has three clear match-winners and they are Virat Kohli, Rohit Sharma and Jasprit Bumrah. 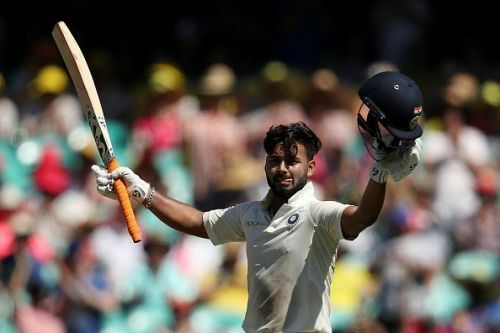 For me, the fourth one is going to be Rishabh Pant." Nehra rated the Delhi-born wicket keeper above Rayudu and Karthik, as Rishabh has different skill sets as compared to these cricketers. "Ambati Rayudu, Kedar Jadhav and Dinesh Karthik are all fantastic players but they are all in the same mould. You need X-factor which this boy possess." India has five more opportunities to check their bench strength. In all likelihood, we may see Pant play in the upcoming ODI series against Australia. The ODI series between India and Australia will begin on March 2.